This is one adjunct grain that has a wide variety of applications and uses in brewing. Flaked Barley is made from unmalted barley that has been steamed and rolled into flakes. This process gelatinizes the starches and makes them available to the enzymes present in the mash. However, since Flaked Barley is unmalted it does not contain the enzymes necessary for conversion so it will need to be mashed with other grains. There’s no need to mill Flaked Barley as the carbohydrates are readily available in the flaked form, but it can be milled if necessary. Flaked Barley will add some gravity to your beer without adding color so it is an excellent replacement for corn or other adjuncts that detract from the overall character of the beer. If you’re trying to lighten the color of a beer but keep the gravity the same then consider adding some Flaked Barley. 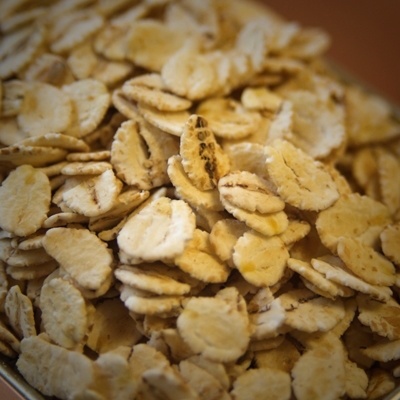 There will be little to no discernable flavor or aromatic contribution from Flaked Barley if used in small quantities (1-5%) but it may contribute grainy notes if used in a higher proportion (5-20%). There will be some contribution to body and head retention from the elevated protein and beta-glucan content.